Director of Product and Engineering for Twilio’s Autopilot platform will be leading a demonstration on how to build a chatbot using Autopilot. 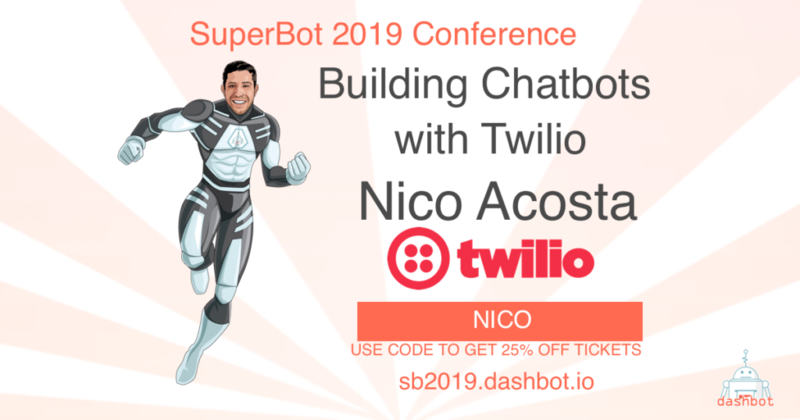 Nico Acosta is a director of Product and Engineering for Autopilot, Twilio’s Conversational AI platform. Prior to Twilio, Nico was an entrepreneur in the mobile space. Nico has lived in Bogota, London, Chicago, and currently lives in San Francisco. He holds a degree in Computer Science from La Universidad de Los Andes and an MBA from Kellogg.